For many people, buying a Mac is making a significant investment and we want that investment to be productive for as long as possible. You might not know that there are very common things that can put your Mac at risk of not being there for you when you need it most. Today we’ll take a look at 10 of these potential threats, with some real-life examples from my years as a Mac professional. The Sun may be 93 million miles away, but it can cause damage to your Mac due to heat. One of my consulting clients who lives in the mountains west of Denver has a beautiful view from his home office from a south-facing floor-to-ceiling window. He loves the view so much that he put his new iMac right next to the window so he could simply glance out at any time to see the weather, watch deer and elk (and the occasional bear) wander by, and otherwise decompress while he was working. A few months after he got the iMac, the client called me to complain that the machine would shut down unexpectedly; often about the same time of day. When I asked if there were any symptoms that he saw or heard, he mentioned that the iMac fan was blowing loudly, even when he wasn’t rendering video. Sure enough, the back of the iMac was close enough to the south-facing window that it was receiving the full brunt of the Sun’s light during the day and gradually heating up to the point that not only did the fan kick in to try to cool the computer off, but it would eventually shut down to prevent damage. The issue hadn’t started until late spring when the computer was receiving a few more hours of sunlight each day. Our solution was simple and retained the view of the mountains — we simply moved the desk that the iMac sat on back about 18 inches, which kept it from receiving direct sunlight while the Sun was at its highest. One other place where sunlight can damage a Mac? In your car! Sure, you might have the computer located under a tonneau cover so it’s not receiving direct sunlight, but that car can heat up and damage your Mac. If the outside temperature is around 100°F and the car is parked in direct sunlight, the interior can quickly reach temperatures exceeding 170°F. That’s enough to cause permanent damage to some batteries, and it can even loosen the components in sealed laptops by melting the adhesives used to keep things in place. Another killer of Macs is dust and pet hair. When I was doing a lot of consulting, one of the most common things I used to run into with any Mac with a built-in cooling fan was overheating due to an accumulation of dust and pet hair. In offices, it’s quite common to place headless servers (Mac Pro, Mac mini) in cabling closets, and those rooms are usually never on the nightly janitorial cleaning list. The result? After even a few months, opening up one of the servers to add memory results in finding a thick layer of dust. A small vacuum cleaner made specifically for pulling dust out of computers was in my bag of computer tricks, along with a can of compressed air. After cleaning out the dust, it was common to see a 20° – 40°F drop in temperatures inside the Macs as measured by iStat Menus. My home office clients had another source of fan-clogging material — cat and dog hair. If a client had a pet or pets, I always put a cleaning of non-sealed Macs on my schedule every six to nine months because I knew that the hair was eventually going to cause issues. 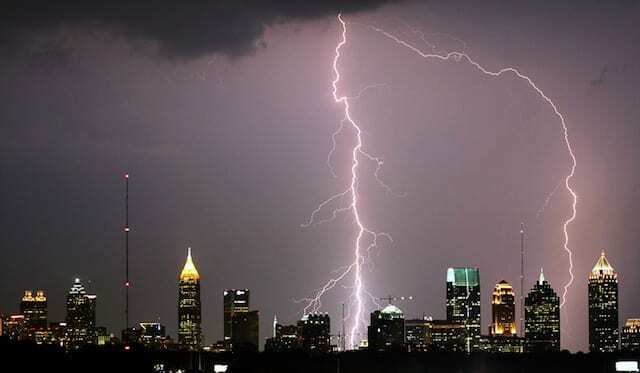 Do you live in an area where lightning is common? Places as diverse as Florida and the Colorado Front Range are famous for spectacular lightning storms, and a close-by strike can easily damage your Mac when it’s plugged into a wall socket. There are a few ways to prevent lightning from damaging your Mac. First, if you begin hearing thunder and think you’re in the path of a storm, unplug your Mac for the duration. Next, make sure you’re using a surge protector between your outlet and your Mac. MacSales.com has a wide variety of surge protectors from APC, Belkin, and other manufacturers that are an inexpensive way to keep your Mac safe from lightning damage even when you’re not around. 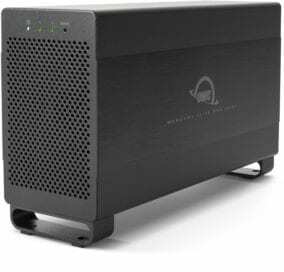 Finally, if lightning and power outages are common in your area, invest in an Uninterruptible Power Supply (UPS). Once again, MacSales.com is a great source for the well-regarded APC Back-UPS line, which also includes a $150,000 equipment protection policy. Everybody loves Macs, so much that they’re attractive to thieves. A client who works at a local law enforcement forensic computing facility told me that Macs are often the only computers taken from homes and businesses, with thieves bypassing the more common Windows PCs. There are a couple of easy ways to keep your Macs from “walking away”, including using locks and security cables from NewerTech, Maclocks and Kensington to make the computer difficult to remove in a short time. 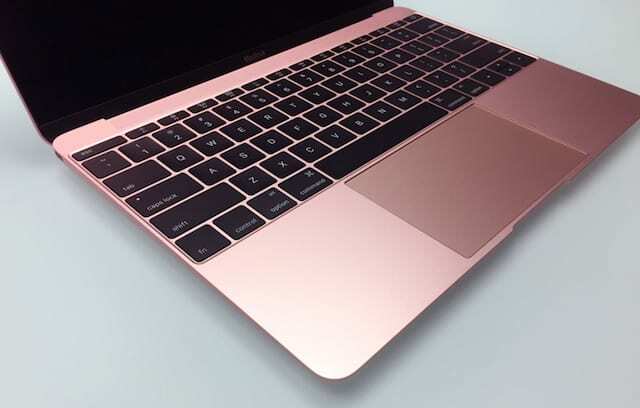 Companies often put metallic barcode tags on Macs for inventory purposes, and those can also be a good deterrent to theft because they’re very hard to remove. Gravity is one of the worst enemies of your Mac. Whether it’s accidentally dropping a bag with a MacBook in it or having something fall and knock over an iMac, it’s surprisingly easy to damage your computer due to the effects of gravity. Now I’m not suggesting that we all move into space…but the best thing to do is to always think about potential drop and trip hazards. I do a lot of video podcasting and set up lights in my home office; recently, one of those lights fell over as I was getting ready to put it away, and it hit the back of my 27-inch iMac, knocking it over. While the computer was fine, the fall did leave a mark on the screen as my Magic Trackpad apparently damaged the coating on that beautiful Retina display. Also, since Apple has gotten rid of the MagSafe adapters that safely pulled out of MacBooks if you tripped over a power cable, you now have to worry about that tripping hazard pulling a MacBook to the floor. 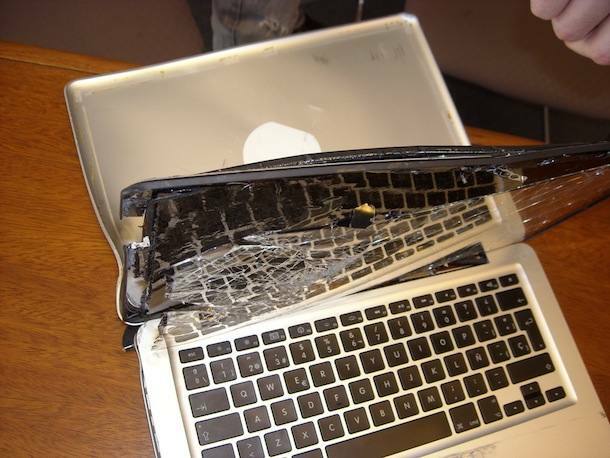 Liquids are a very common way to damage a Mac — or at least the keyboard of a desktop Mac. Who doesn’t sit down at the Mac with a cup of coffee or tea in the morning, or with a soft drink or other liquid at other times? It’s way too easy to knock those liquids right onto your computer. My solution to my own clumsiness after ruining a keyboard with coffee? I now use a coffee mug that has a “push to drink” lever on it; if I knock it over, it’s not going to spill everything on the keyboard. Likewise, I try to use a “spill proof” water bottle for refreshment at other times. Or you can invest in a keyboard cover. We often warn readers of the Rocket Yard of the danger of malware. It comes in all types, from ransomware, key loggers that can capture user names and passwords, to malicious apps that can wipe a hard drive. Although Macs are not as likely to be the targets of malware, their increasing popularity is causing a rise in the incidence rate of Mac-related malware attacks. The solution in this case? Install and maintain anti-malware software on your Macs. Have a home office? Consider doing what one of my former clients did and put a lock on the door to the office… She did this after purchasing a brand new 27-inch iMac that her 4-year-old son promptly destroyed by drawing on the screen with an indelible “Sharpie” marker. Her attempts at removing the artwork ended up damaging the display, which had to be replaced at an Apple store. Just keep an eye on kids and pets, and think about ways that their clever little minds can possibly damage or harm your computer… or put a lock on your office door. Macs are still a mystery to some computer techs who have never laid a hand on them in the past. If you ever need to have work done on your Mac by a computer tech, make sure that they have at least some Apple credentials or familiarity with Macs. Well, he got the Mac back… but without Mac OS X being reinstalled on the device or his backup restored. It had the new hard drive, but the techs at the store didn’t have any installation media and didn’t bother to figure out how to install Mac OS X. While this didn’t damage the MacBook Pro, it did inconvenience my client, and I had to make an emergency visit to get the operating system reinstalled and his files restored as quickly as possible. While his data was never at risk, the lack of competence shown by the staff really pointed out the danger of entrusting your businesses to a complete stranger. At least that client had backups of everything. At my urging, most of my clients had a bootable clone of their Mac that was updated nightly, a Time Machine backup, and an online backup. When some mayhem takes out your Mac, the backup can get you back up and running quickly. That wasn’t the case when I was called to help out an older man with more money than sense who had a top-of-the-line (for the time) Mac Pro that was decked out with a large hard drive. He had meticulously digitized a huge collection of vinyl albums, CDs, and tapes over the years, using iTunes on his Mac to organize all of the music. This was in the days before iTunes in the Cloud or Apple Music, and this man called after his hard drive failed. When I arrived, I asked him where his backup drive was, and I got a blank look in return. He had spent years digitizing his recordings, but had no local backup. I asked if he had an online backup with one of the few providers at that time. Once again, I got a blank look. After telling this gentleman that the only way to possibly attempt to get any of his files back was going to be to send the hard drive to a expensive drive recovery firm, he got quite irate with me. Since he wasn’t one of my regular clients and I wasn’t too happy with being yelled at by a complete stranger, I cut off his rant by writing down the phone number of the recovery company and walking out the door. I never did find out if that man got any of his files back, but it really taught me the importance of getting the word out to people on the importance of backups. That’s one of our continuing missions here at The Rocket Yard, and we hope that you take our messages to heart! Thank you for the article. I just went out and bought a can of compressed air as I work on a dusty ranch with lots of animals around. Then calendared my Ical for cleaning every 3 months. And bought a locking coffee and separate water container! Got the keyboard cover. I’m armed and ready! Mackeeper has invaded my MacBook-Pro and I can’t get rid of the NAG notices, They are attached to downloads snd spring up all over the place. My only recourse is to let them download and then remove them. – All type of antivirus software. Stop buying cheap, knock-off cables!! The 7-11 is no place to buy a charger for your $$$$ phone or ipad!! Wise words. I would add not housekeeping maintenance with tools like DiskWarrior. When I saw you word “housekeeping”, I thought of someone routinely plugging a vacuum cleaner into an UPS! Many thanks for your solid article & Mick’s helpful insights as well. Perhaps someone would care to advise as to best practices for dust removal from iMacs & MacBook Pros. Thank you to all who reply to this. an air compressor works very well with the case open to expose power supply, CPU heat sink & fan, plus other nooks & crannies harboring dust bunnies & dirt. I realize they’re not ranked in terms of likelihood, but the number one cause of death we always saw on Mac laptops was liquid damage. I wish people were better at backing up too. There seems to be this misunderstanding that if your computer or hard drive is new, you’re not at risk. With some people, it was hard to explain we weren’t trying to up-sell anything, but that they were risking everything by not backing up. New hard drives fail almost as often as older ones. They’re fast and convenient places to save data to, but not secure. A fewer still, didn’t understand that a failing (but not completely dead) hard drive is not like bad tires on the car. It has to be replaced right away and it’s a gift to catch one before it’s completely dead. The other consistent misunderstanding we ran into with a significant amount of people is that they thought “the iCloud” was backing everything up. We had to explain that will this “could” be true for iOS devices, it was almost never true about their Macs. We recommended BackBlaze for the latter and some chose it in addition to a TimeMachine or TimeCapsule backup plan. I’m sure there are still many, many Mac users who are wholly unaware that iCloud is still more about syncing than backup on the Mac and that you’ll likely need a paid account with Apple if you want to backup the ever expanding data on your iPhone. Steve, you write good stuff for both the layman and other Mac Professionals. Hope you’ll keep at it!